Between the years 1900 and 1960, over 4,809,000 African-Americans fled the South's oppressive conditions. The vast majority of these migrants settled in Northern cities such as Chicago, Cleveland, Detroit, Pittsburgh, and New York. The war years witnessed the greatest influx of Southern blacks, for the loss of labor due to military enlistment induced greater economic opportunities in Northern-based industries. 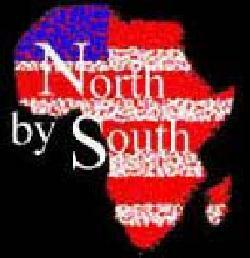 The North by South webpage seeks to illuminate the numerous effects of Northern migration on African-American culture through exploring six distinct patterns of migration. Conducted over the course of six academic years (1997-2000 & 2001-2004),	Kenyon College students studied--under the supervision of National Endowment for the Humanities Distinguished Teaching Professors of History Peter Rutkoff and William Scott--the migration of blacks from: South Carolina to New York	City, the Mississippi Delta to Chicago, and Birmingham, Alabama, to Pittsburgh and Cleveland. Through focusing on specific patterns of migration, one can closely identify the transmission and transformation of African-American culture and social customs witnessed in these urban communities.